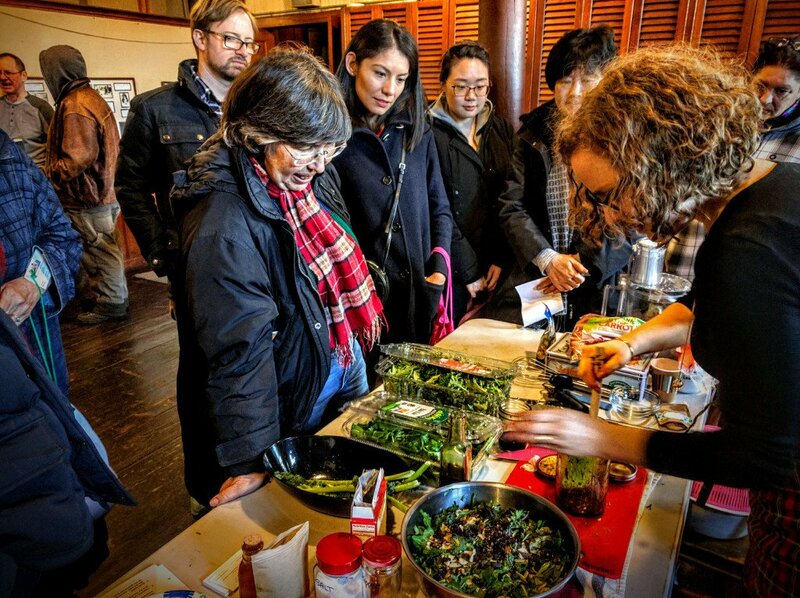 If you want the freshest, best tasting, and most environmentally friendly food, you should come to the Flushing Quaker Meeting House on Sunday, March 18th for three ways to better understand your food. 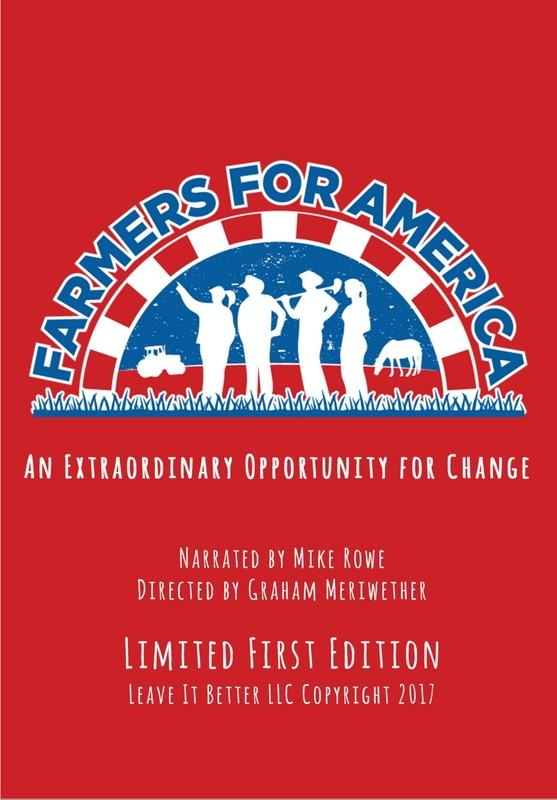 The Flushing CSA has organized a free screening of the acclaimed documentary, Farmers for America. It shows the struggle of the farming community, with American family farms vanishing and 20% of our food being imported. A new generation of farmer is bucking the trend, often selling directly to the consumer through Community Supported Agriculture. The documentary shows us the situation in agricultural America, where the consumer can make positive change for the country. 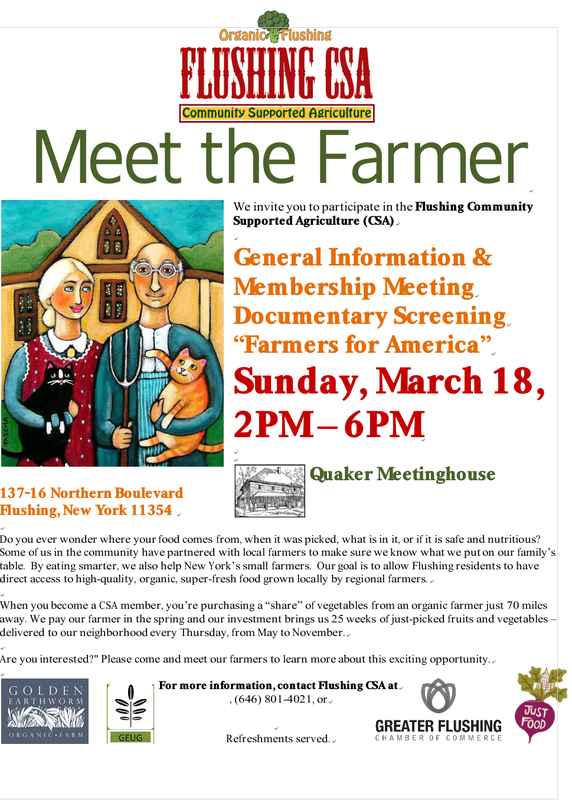 After the screening you’ll be able to speak with the farmers and food producers who support the Flushing CSA. Food from super markets is usually anonymous, we have no idea who grew it or even what country it is from. By speaking directly to the farmers who support the Flushing CSA, you can make a real connection to the person responsible for your food. This is a great time to ask question and to teach children about where their healthy food comes from. Most importantly, the Flushing CSA will be there to answer questions and accept new member applications. As with other CSA’s you’ll pay up front, giving the farmer enough money to buy seeds. Then through out the year the farmer will grow, harvest and bring the food to Flushing, where you can pick it up, usually within a few days of it being harvested. By joining the Flushing CSA, you’ll be supporting local farmers, helping the environment, and getting the freshest food around.